The famous Gregg Troy is an American Olympic and college coach. Currently Gregg plays the role of head coach for the Florida Gators, the diving and swimming teams of the prestigious University of Florida. In the years 1996 and 2008 Troy played the role of assistant coach for the men’s swim team in the US Olympics. Greg Troy is extremely famous for his swimming workouts amongst his athletes and on an average 7000 square yards is covered per workout. Troy has also gained immense popularity after he gave a speech on training philosophy at Florida. 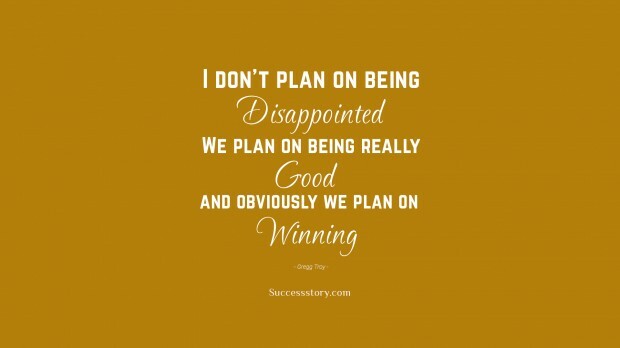 "I dont plan on being disappointed. We plan on being really good, and obviously we plan on winning."